Beautiful rolling hills with plenty of road frontage. The barn has four nice horse stalls,in addition, there are two run in sheds. There is an abundance of storage and the two car garage has an insulated shop that would be perfect for projects. 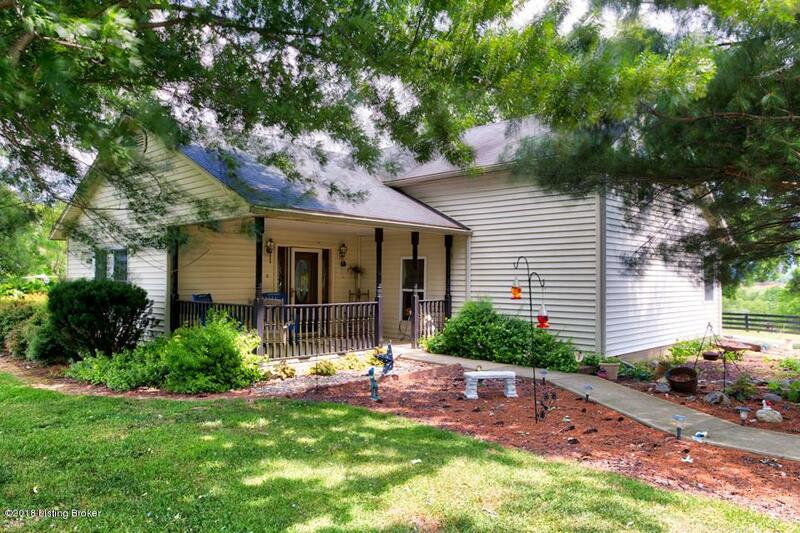 The large lake surrounded by pasture and woodlands is full of fish.At the house, spend time relaxing on the front porch which is just perfect for a rocker or swing. This property will sell quickly so call today for your showing. Seller is motivated.